ECO Canada’s Research Community: Share What You Know! The saying goes that two brains are better than one. In our experience, hundreds of brains working together are best of all, especially as they share their insights to help elevate an industry they’re passionate about. That’s why we’re thrilled to invite you to join our Research Community. It’s a place where hundreds of environmental professionals gather to share their insights and experiences in the industry, and in the process help shape the future of environmental employment in Canada. 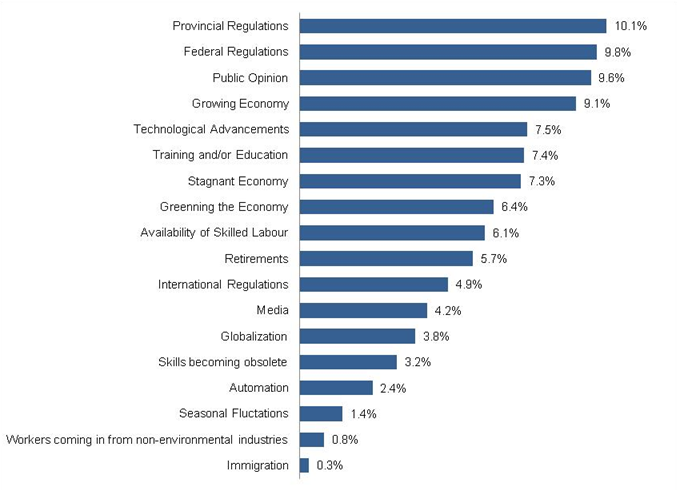 Research has always been at the foundation of everything ECO Canada does — for over 20 years we’ve worked closely with environmental professionals and other industry insiders to produce insightful, relevant research on the environmental labour market. Consultation has been a truly vital part of this research — it helps us draw from the experience of professionals, employers, and academics to provide more and meaningful results. For starters, the opportunity to connect with other environmental professionals across the country and in your hometown. It’s always exciting to see how many of you are invested in elevating the environmental sector, and we’re thrilled to give you yet another way to reach out to each other. As part of the community, you’ll also help shape the future, not only of ECO Canada, but of Canadian environmental employment. The information you share with our research team will inform government and other stakeholders on issues and trends facing the Canadian environmental sector, and will help us improve the products and services we offer, such as training and certification. What’s the Community been talking about? Recently, we asked members whether they think employment in their areas of environmental specialization will increase, decrease, or stay the same over the next five years. Despite current economic conditions, the vast majority of members (82%) feel there will be an increase in the number of people employed in the environment by the year 2021. They also felt regulation, public opinion and climate change would be the biggest drivers for this trend. If it sounds like important work, that’s because it is. But it doesn’t have to be time consuming on your part — participation can take up as much of your time as you can manage.